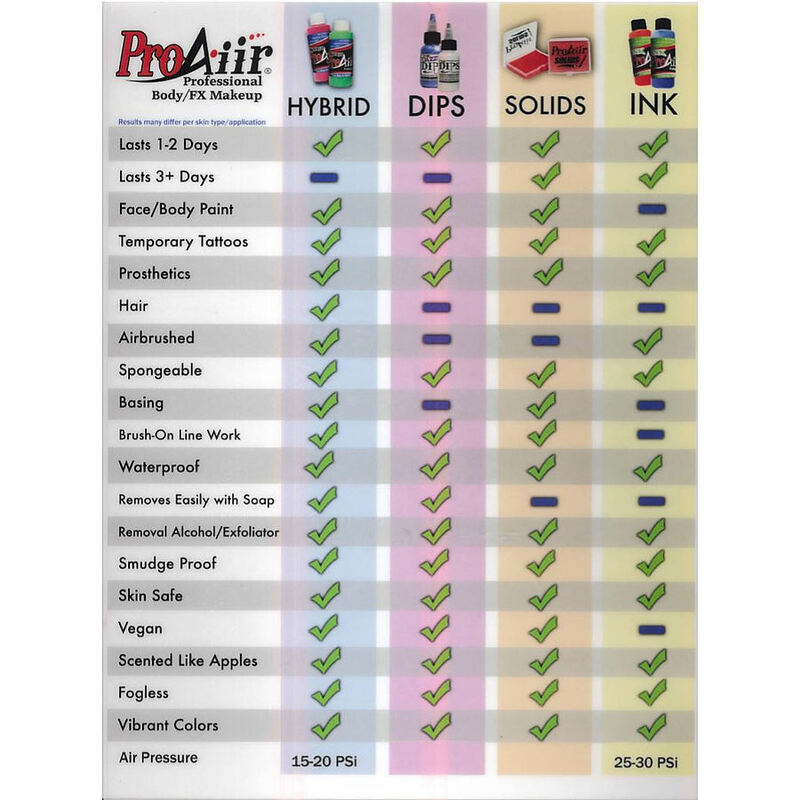 ProAiir Hybrid is cosmetic alcohol-based makeup that lasts 1-3 days. 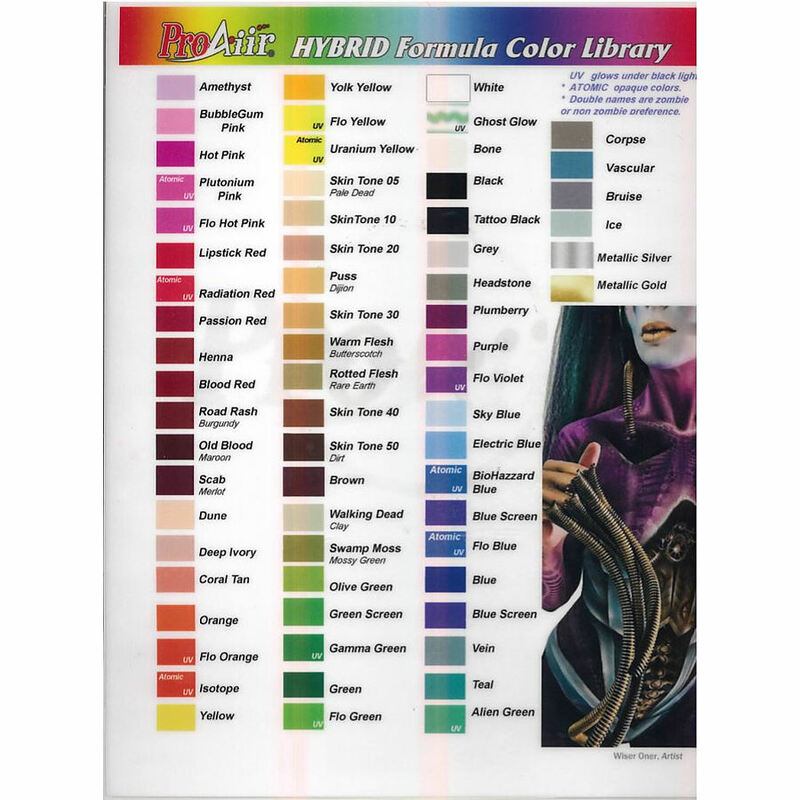 The Basic Colour Range is perfect for those just starting out or stocking up in bulk. 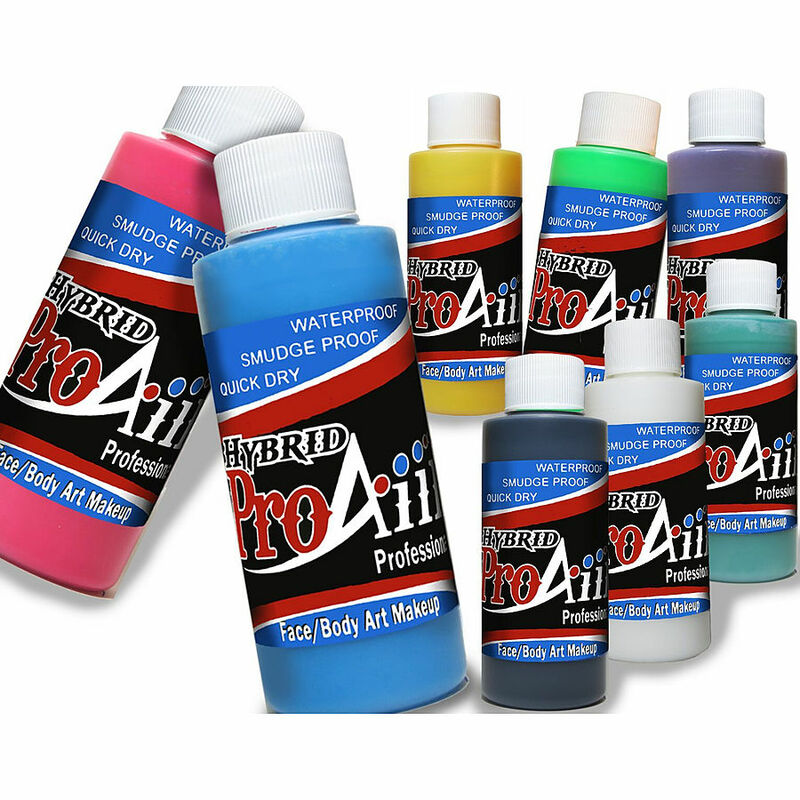 Artists everywhere use ProAiir to create beautiful water resistant and smudge proof designs that last, yet are gentle to remove when desired.